Australian and New Zealand mobile users are responding more to mobile video advertising than any other mobile ad format, new research has revealed. 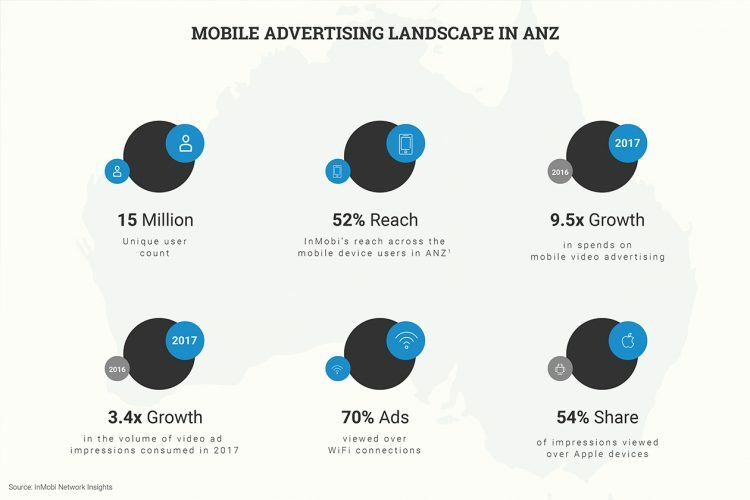 Global mobile advertising platform InMobi has released its 2017 Mobile Marketing Trends report today, revealing that mobile video advertising has seen a rapid increase in consumption in the trans-Tasman over the past year, growing 300 per cent from 2016 to 2017. The report also found that mobile video ads are also surpassing engagement rates for all other mobile ad types, delivering 3.7 times more engagement than banner ads, 2.7 times more engagement than native ads and two times more engagement than interstitial ads. InMobi’s commercial director for Australia and NZ, Paul Kent, said: “These results can be attributed not only to consumer demand for video content, but also the growing app economy with consumers more comfortable viewing video ads in-app, better WiFi connections and more free hotspots, and better viewing experiences offered by new smartphones with larger screens. 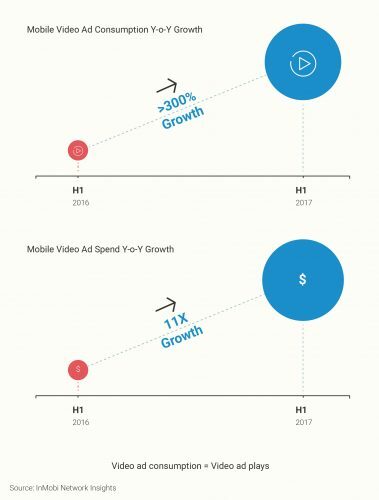 With advertisers embracing this trend of using mobile video ads as an effective storytelling medium, ad spend for mobile video grew 11 fold in the past year. This number is predicted to climb even higher in the next financial year, with more advertisers trying to catch consumers on their new first screen – their mobile – and more smartphones hitting the market, such as the iPhone 8, iPhone X, and Google Pixel 2. Interestingly, FMCG, auto and retail have been the biggest sectors driving the growth in the adoption of mobile video advertising in the ANZ region, according to the research. Mobile video has also become the most preferred ad format for programmatic campaigns, assisting with the 77 per cent growth in mobile programmatic ad spend from the first half of 2016 to the first half of 2017. ANZ remains a dominant force in mobile ad consumption in the Asia Pacific region, sitting as the fifth largest mobile ad destination after South Korea, based on total ad impressions.